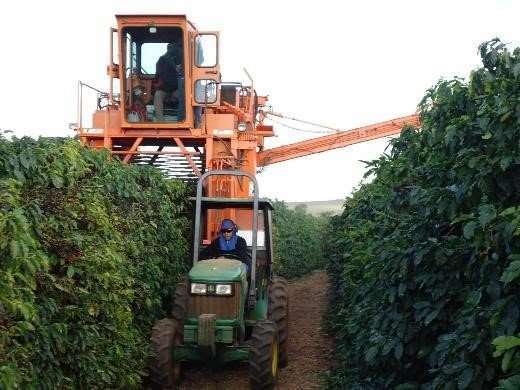 A mechanical coffee harvester straddles a row of coffee trees. Credit: Tiago do Oliveira Tavares and Rouverson Pereira da Silva. 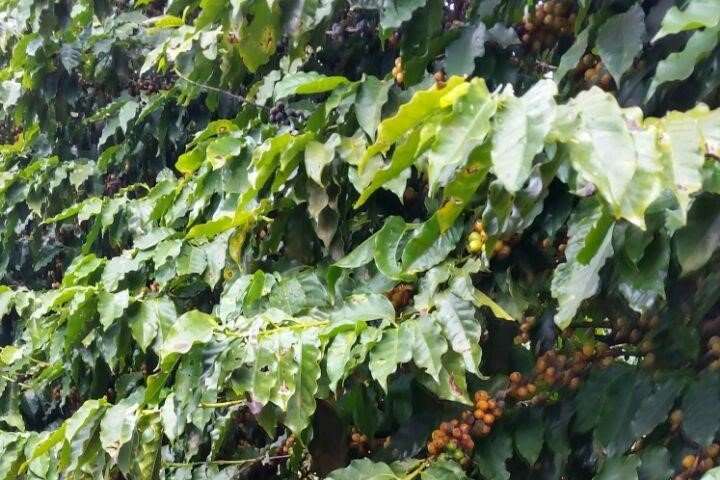 Fallen coffee berries before sweeping and picking. Credit: Tiago do Oliveira Tavares and Rouverson Pereira da Silva. 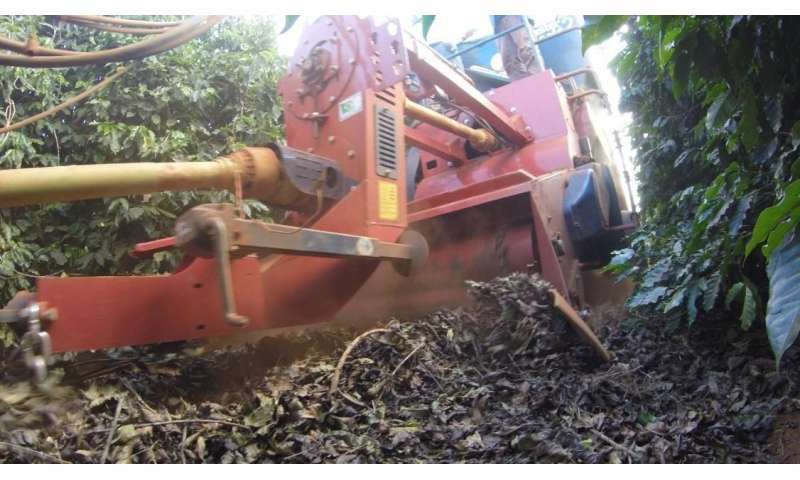 A mechanical coffee picker collects a windrow of fallen coffee. Credit: Tiago do Oliveira Tavares and Rouverson Pereira da Silva.